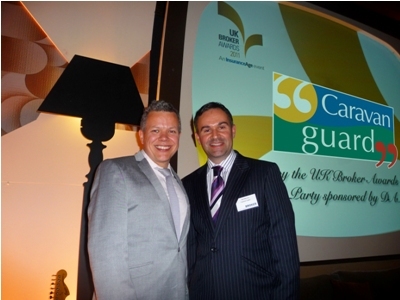 Caravan Guard have been “highly commended” at the 2011 UK Broker Awards, which took place at a glitzy event in London on Friday 9th September. We were finalists in the “Customer Service Provider of The Year” category, a category we won in 2008 and 2010, and were highly commended in the “Marketing Campaign of the Year” category. Caravan Guard was up against stiff competition from some of the biggest insurance brokers in the country, so to gain recognition is a massive achievement and testament to our ongoing commitment to further improve the service offered to caravan and motorhome owners. Our award entry was largely based around our new and improved personal review service which ensures customers get the best possible insurance deal at renewal, with the benefit of speaking directly to one of our highly trained insurance advisers.